Wednesday, November 7 through Saturday, November 10 at 7:30 p.m.
For the past 10 years, relentlessly inquisitive theater artists Jessica Grindstaff and Erik Sanko of the Phantom Limb Company have created onstage magic as a means to address current events and timeless mythologies. Their latest, the third installment of a trilogy that previously featured ice and wood, is a rippling meditation on water, heartbreak, and healing in response to the triple disaster of earthquake, tsunami, and Fukushima nuclear meltdown of March 11, 2011. 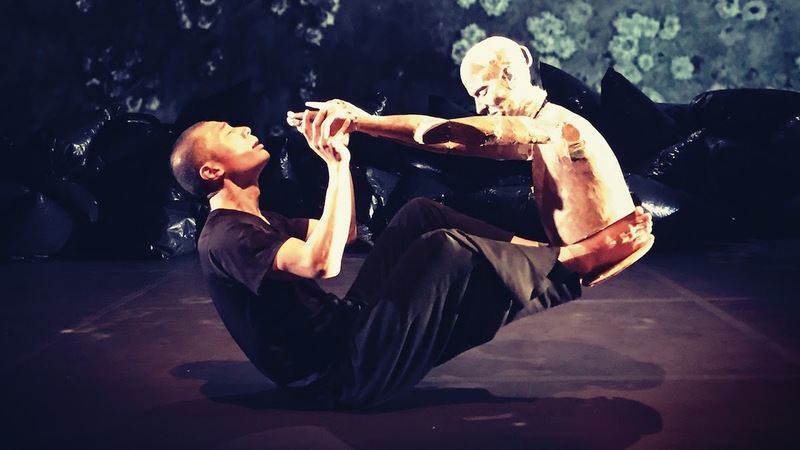 In collaboration with Butoh master Dai Matsuoka of dance troupe Sankai Juku, the New York premiere of Falling Out weaves a street dance called flex dance, Butoh, and Phantom Limb’s unique puppet theater into a visually arresting tapestry of collective experience and artistic alchemy. Artistic director and designer Grindstaff, who traveled to Tohoku in the spring to record footage and interview residents of the hard-hit areas, says that Butoh has a way of “capturing and inhabiting intense loss.” The slow and deliberate movement form has its origins in post-WWII Japan, and while the Butoh elements echo the ultimate nuclear disaster of the atomic bombings of Hiroshima and Nagasaki, Falling Out also addresses people’s relationship to nature and our climate crisis issues. For more information and to purchase tickets, please visit BAM’s website.